A super-shiny Nike Air Max 2015 that's hitting retail before the year's end. Is this Nike Air Max 2015 a subtle AM97 tribute? That might be a reach, but it's hard to look at that particularly reflective strip on the upper and not be reminded of the "Silver Bullet" Air Max 97 look that's among the most heralded for that silhouette. And there is plenty of precedent for new Air Max designs honoring the heritage of the line. Despite this being an Air Max 2015, you won't have to wait till 2015 to get them - the pair is currently scheduled to release on Friday, December 26th. 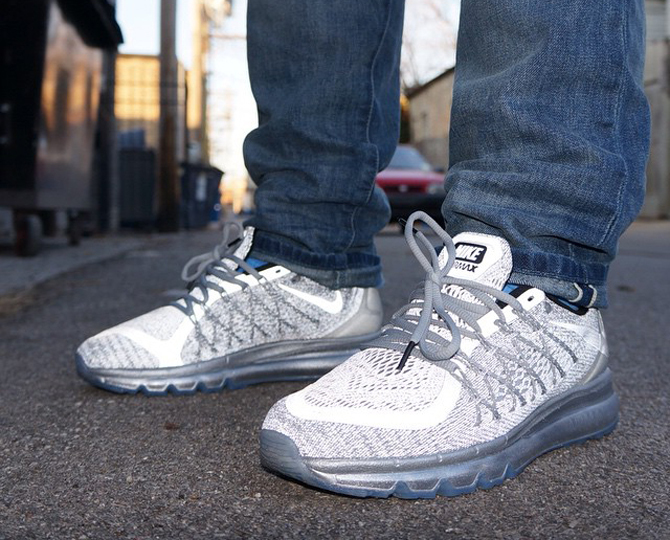 Nike Air Max 2015 "Reflective Silver"